* - Assaults on women and young girls, especially domestic violence, acid attacks, honor killings, FGM and forced marriage that have become a growing problem in some Muslim countries, are barbaric, inhumane and completely contrary to Islamic teachings. * - Islam never condones humiliation, beatings, mutilation, or outright murder, especially not as a means to exert one's own authority, or to enforce one's own opinions upon other people. Rather Islam teaches us to approach differences in opinion with tolerance and forbearance, saying even to the clear disbeliever, "To you your way, and to me mine" (109:6) and "There shall be no compulsion in religion" (2:229). In particular, men are commanded to treat women with respect and kindness. "Live with them [your wives] in kindness; even if you dislike them, perhaps you dislike something in which Allah has placed much good" (4:19). In fact, in Surah Baqara the importance of kindness is emphasized with direct reference to marriages where conflict has arisen: "Then keep them in kindness or part from them in kindness" (2:229). The Prophet left no room for doubt as to how men should treat women, saying, "The most perfect of believers in belief is the best of them in character. The best of you are those who are the best to their women" (Tirmidhi 1/217). * - provide leadership in condemning acts of violence against women and girls. 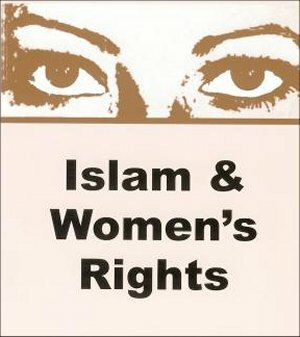 Only when women and girls can live with dignity, in safety, not fearing bodily harm from family members, and with freedom of conscience as the Qur'an demands, can a country rightfully call itself "Islamic." noted & signed TYSVM for this Tom You're an angel. Rhonda, thank you for signing "Petition to End Domestic Violence in the Muslim World"
Thanks again Tom. You do an amazing job in trying to end this evil culture of abuse towards women. Noted and signed.Thank you Tom. Does Taliban read any petitions, not to mention Petitions in English? Thank you Tom, signed # 313.